Do Outsourcing Clients Want Decent Digital Work? There are growing concerns that digital gig work – supplied by platforms like Mechanical Turk, Upwork, Freelancer, etc – falls short of decent work standards. (For further details see the working paper, “Decent Work and the Digital Gig Economy”.) To address this, and as discussed previously in this blog, there are plans to encourage new ethical standards. But almost all evidence on this to date comes from workers. The voices of only a few platforms have been heard, and there seems to be no evidence from clients. Yet clients are central to decent digital work standards: if they create incentives for platforms to improve, that will be a powerful motivation. Conversely, if clients don’t care, it removes a key driving force from the gig economy ecosystem. So, what evidence can be found? Here, I summarise Babin, R., & Myers, P. (2015) Social responsibility trends and perceptions in global IT outsourcing, Proceedings of the Conference on Information Systems Applied Research, v8, n3663. This in turn summarises results from surveys conducted during 2009-2014 by the International Association of Outsourcing Professionals. 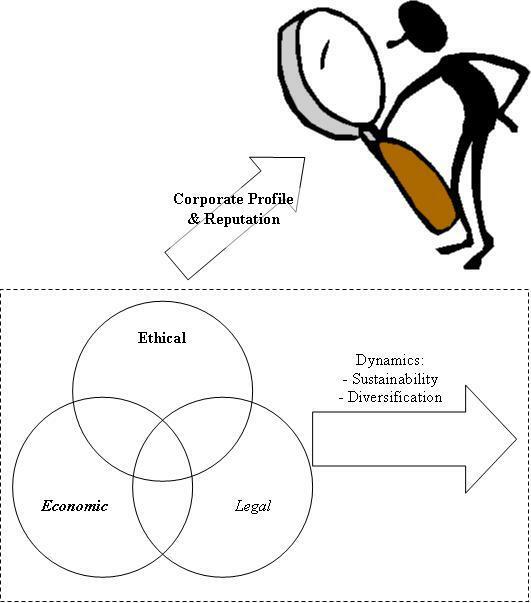 The survey was specifically about corporate social responsibility (CSR) in IT outsourcing. So: a) it is not exactly about digital gig work but a broader category of outsourcing; b) the survey may encourage some level of “virtue signalling”: respondents wanting to appear more socially-responsible than they are in reality. Nonetheless, it offers some relevant guidance about client attitudes to decent digital work. In general terms, half the respondents were US-based; half were non-US; a fair reflection of gig work clients. They ranged from SMEs to multinationals and just over half had a written CSR policy. They are thus larger and more formally-CSR-inclined than the modal micro-enterprise client for digital gig work, but important given the increasing involvement of firms in gig outsourcing. 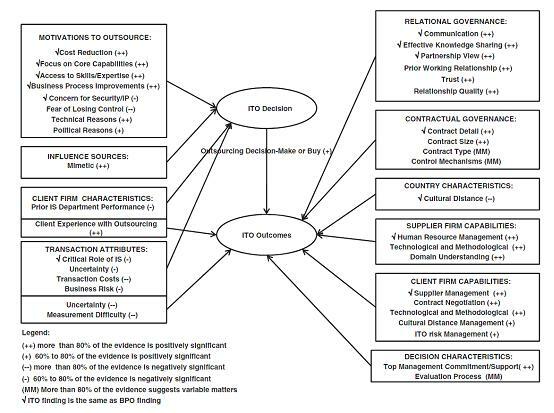 – Nearly half “often” or “always” gave preference to outsourcing providers who had demonstrable CSR capability. – Nearly two-thirds expected CSR consideration to become “more” or “much more” important in their future IT outsourcing. 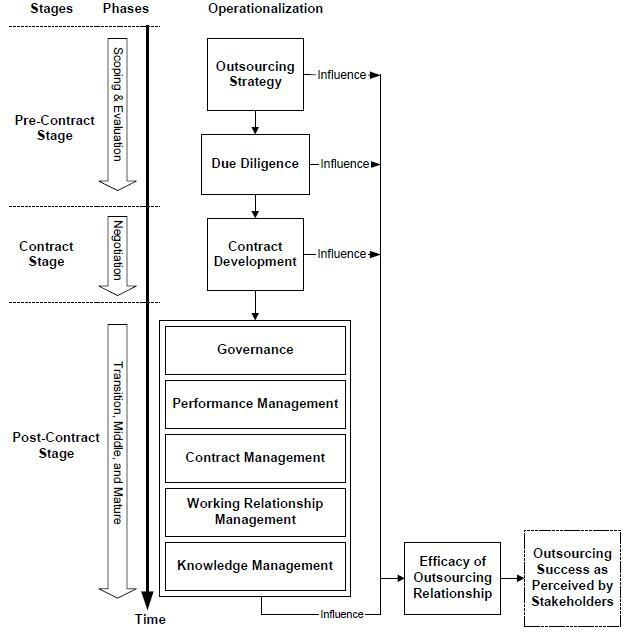 – The largest factor in evaluating CSR capabilities of an outsourcing provider was its labour practices (see figure below). At least for this group of clients, then, the type of labour practices covered by proposed decent digital work standards were the top CSR issue; and CSR was quite widespread as a determinant in digital-related outsourcing (only 5% said they never used CSR as a determinant). This gives some basis for believing – at least among larger clients for digital gig work – that an appetite exists for better employment and working conditions; an appetite that can encourage platforms to change. How can we improve standards for digital gig workers: those undertaking micro-work and online freelancing via platforms like Upwork and Mechanical Turk? The recent research paper – “Decent Work and the Digital Gig Economy” – explains why such standards are needed. With up to 70m workers worldwide registered for online work and growth rates of 20-30% per year, this is already a sizeable activity. It is especially popular with the c.80% of workers based in middle- and low-income countries, who often see online work as better than local alternatives. However, this ignores the chronic precarity and structural inequality associated with such work: damaging outcomes that will only spread if nothing is done. But what should be done? The paper develops an inventory of “Decent Digital Work” standards. This is a comprehensive set of guidelines that integrates two things: first, the global decent work standards set by the ILO; second, the actions needed to address specific digital gig economy problems. A key value for this inventory is as a comparator with other decent work initiatives. 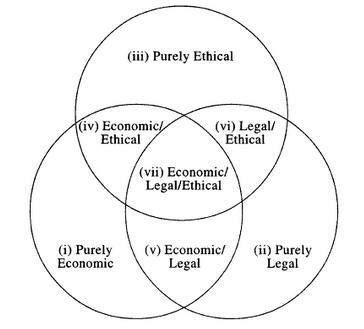 For example, the paper analyses the way in which two major initiatives – SA8000, and the Ethical Trading Initiative – do and do not cover the requirements for decent digital work. Below, a further comparison is undertaken, between the Decent Digital Work standards, and the criteria adopted by the FairWork Foundation; an initiative aiming to rate and certify gig economy platforms. The table indicates those elements which are the same in both standards; those where a completely-different element is included; and those where there is some variation in the element. a) A number of Decent Digital Work standards are absent in the FairWork Foundation certification criteria. Several of these relate to the broader context for work, would be outwith the scope of an individual platform, and therefore are not relevant to platform certification. However, those identified under “Employment” and “Work Conditions” can form part of a further discussion to consider their relevance to certification. b) Some elements (e.g. around access to digital work opportunities, and accounting for worker costs other than unpaid time) speak to the particular conditions of gig workers from the global South. This is the location for the great majority of gig workers: already for digital gig workers; increasingly for physical gig workers. As such, the FairWork Foundation must ensure its global North origins do not skew its focus. – Survey of worker, client and platform views about identified standards. – A multi-stakeholder dialogue to agree a minimum set of certification standards and evaluation methods. – Parallel research on the impact of standards and certifications in the gig economy, and analysing the costs and benefits of interventions such as standards and certifications at micro- and macro-level. This is just one example of the application of the Decent Digital Work standards. We hope you can identify other uses . . .
Development 2.0 is the ICT-enabled transformation of international development. An earlier paper and blog entry discussed transformative Development 2.0 models and impacts. This entry looks at a potential example; a case study of direct development and digital production from rural India. The case is one of “socially-responsible outsourcing” (SRO): the use of – in this case IT – outsourcing contracts to drive livelihood benefits directly into poor communities. I’ve already written up an impact analysis of SRO that delivered new jobs, incomes, skills and empowerment into poor urban communities in Kerala. The case study analysed here also involved SRO to poor communities in India, but this time to telecentres in rural Bihar. It contracted from city-based clients both data work (data entry, data editing, digitisation for three clients) and voice work (call centre-based service/technical support and tele-sales for six clients including the Govt of Bihar). The full case report is available online. The Development 2.0 promise is that it will bypass traditional development blockages to bring digital production – that is ICT-based productive work – to the bottom of the pyramid. If that was the promise, what was the reality of this pilot project, run by the social enterprise Drishtee? The first reality is that this is far from ‘direct development’. It is a re-intermediated model of development that interposes two layers between urban clients and village production: a city-based head office that interacts direct with clients, a regional office based in a large village (6,000 inhabitants) in rural Bihar which can undertake both data and voice work and quality assurance of the third layer: individual telecentres in relatively remote villages where data (but not voice) work can be done. The second reality is that the technical and human infrastructure in rural areas requires significant investments before it can get close to the promise of this type of Development 2.0. The regional office (20 PCs, two printers, 512 kbps Internet connection via VSAT and ISDN, UPS and generator: see Figure 1) had to be created at a cost of US$13,000. The village telecentres (at least two PCs, GPRS Internet link (114 kbps),and electricity plus back-up: see Figure 2) were within 35km of the regional office and were already in existence. They had cost an average US$1,500 to set up with running costs (inc. loan costs, rent, telecoms, maintenance) of US$150 per month. Some needed additional investment to ensure greater reliability of power supply. The staff who were to do the work in both the large and the remote village locations were selected from unemployed youth (presumed to be under 25 years old) who had some school education including English language skills and IT familiarity. However, they all required two-three month training programmes covering IT, language, typing, and communication skills before there were seen as ready to participate in this particular part of the digital economy. Even then, their initial accuracy rate for data work was around 75%, rising to 95% after about two months of work. They still required the layered superstructure of quality control between them and the clients. In all, the pilot project created 19 new jobs in the large village (regional office) and 5 overall in the village telecentres, with earnings of US$80 per month (for 25 days of eight-hour shifts; a pay level set at the top of the typical US$40-80 range for rural business process outsourcing work) when there was sufficient work. In such circumstances, the telecentre owners could net US$90 per month from the SRO, thus strengthening telecentre sustainability. In addition to the creation of jobs and incomes at the bottom of the pyramid, this project confirmed the findings of the Kerala SRO programme that there are key gains in skills and self-confidence. If the message is that the BoP isn’t quite ready, but can be made ready, for this particular fraction of Development 2.0, the news from the top of pyramid is less cheery. Having largely addressed the technical, skill and quality challenges of SRO, Drishtee’s main difficulty has been demand: getting enough clients. They charge US$1 (Rs.45) per job hour for domestic clients, which is the going rate, and rural outsourcing has clear advantages over outsourcing to urban areas (c.35% cost advantage, and much lower staff turnover rates than the c.40% per year in urban locations). But there have been difficulties of awareness of the rural/socially-responsible outsourcing model, and of trust of the model and of a new entrant into the field like Drishtee. Scaling – even sustaining – this particular model is therefore difficult. Experiences in Kerala show that both scalability and sustainability are achievable, but those all occurred within one large state government rather than via the more commercial sales and marketing approach that Drishtee must follow. In conclusion, the Bihar pilot demonstrates that the benefits of the digital economy – specifically, ICT-based jobs – can be brought to rural areas, and can deliver livelihood benefits of income, skills, and empowerment. The poor in rural communities therefore do not just have to be digital consumers, they can also be digital producers. It is also an example of ICT helping bring new development actors into play; in this case a multi-layered social enterprise that provides a new form of intermediation between urban business and rural livelihoods. It is disappointing that the same constraints we got bored of discussing in the 1980s – power, telecommunications, skills – are so deeply persistent. And troubling that new constraints – trust, awareness, demand – may be holding back realisation of Development 2.0’s potential. But increasing numbers of new intermediaries are bringing ICT-based SRO to poor urban and rural communities, so we can expect that realisation to increase in future. Links: see also blog entry on BoPsourcing: Fighting or Fuelling Inequality?